Hookedblog has been spending some time further east in Walthamstow over the past weekend (19-20 March), catching up with our friends at Wood Street Walls (Previously on Hookedblog) and to capture some photographs to share here on the blog of the some of the artists who started painting murals across the Waltham Forest Borough. 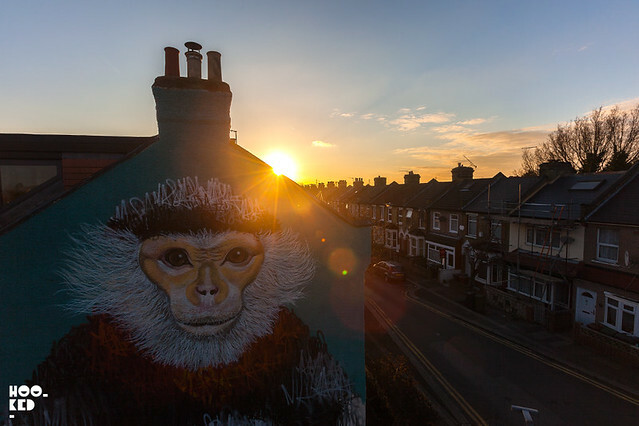 One of the invited artists was London-based street artist Louis Masai who made a start early Saturday morning on his large scale mural on the gable end of a terrace house, working over three days to complete the mural on Monday afternoon. 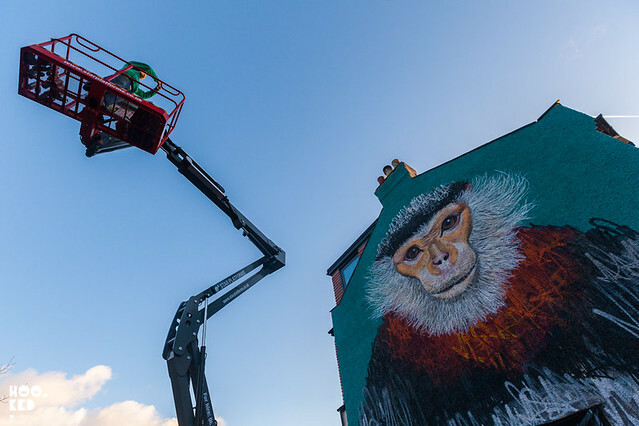 For his mural Louis Masai has created a red-shanked douc monkey which has been painted for The Body Shop to promote their upcoming Bio-Bridges campaign. With this new campaign, The Body Shop aims to protect 75 million square metres of endangered forest in some of the most biodiverse areas of the world, starting in Vietnam this summer. 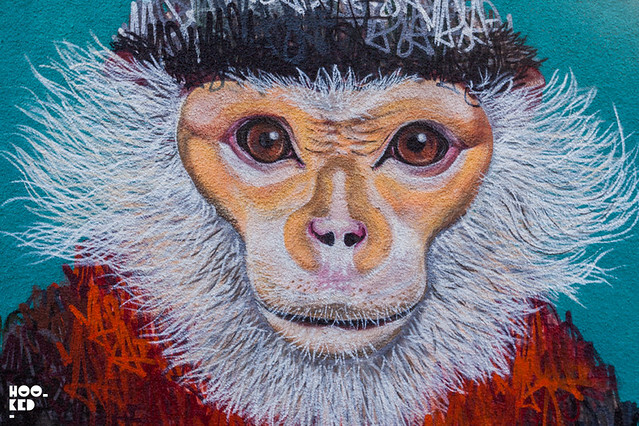 The red-shanked douc, found in North and Central areas of Vietnam, is on the IUCN red list of endangered species and is poached for food and fur. As well as promoting their Bio-Bridges campaign Masai's mural of the endangered monkey also brings to light The Body Shops new Enrich Not Exploit Commitment which is dedicated to enriching their people and products as well as the planet, working fairly with farmers and suppliers and helping communities thrive through their Community Trade programme. Their aim is to be the world’s most ethical and truly sustainable global business, and their Commitment is the first step on their journey to achieving that aim. For The Body Shop, Masai was the ideal artist to work with on this project. 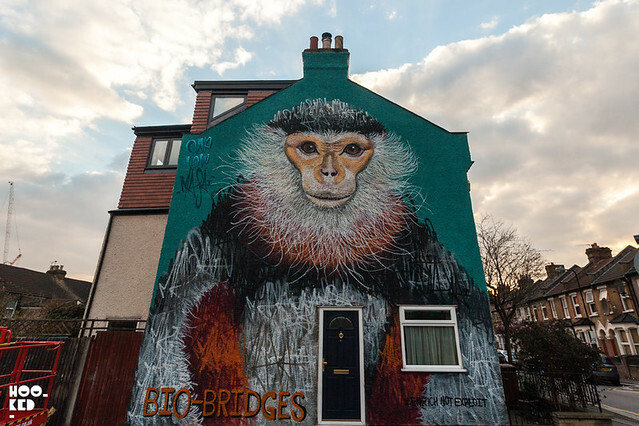 The street artist is well known for his efforts to raise awareness through his art of the plight of some of the World’s most endangered animals. 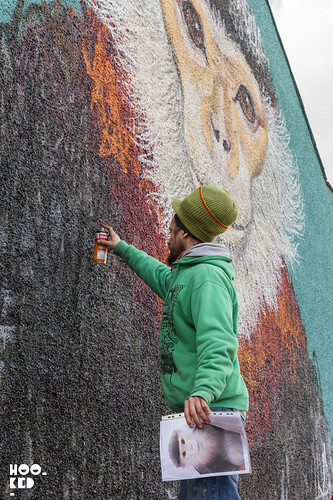 Previous outdoor murals have seen him focus on the African Rhino and the Bees, some of which are still visible around East London. 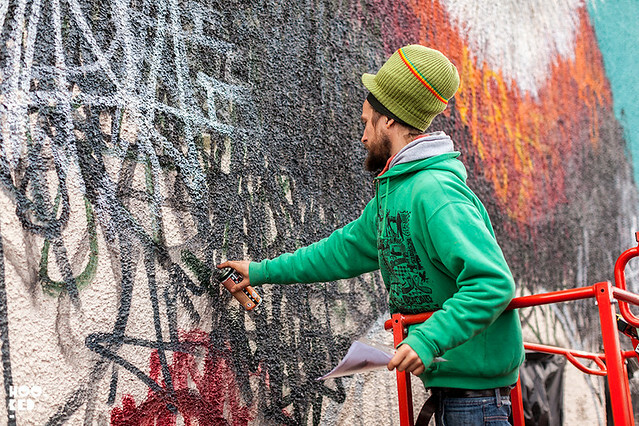 The Body Shop secured the wall for Masai with local arts collective Wood Street Walls, coinciding with their event Paint Your London campaigning for affordable artist workspace in London. 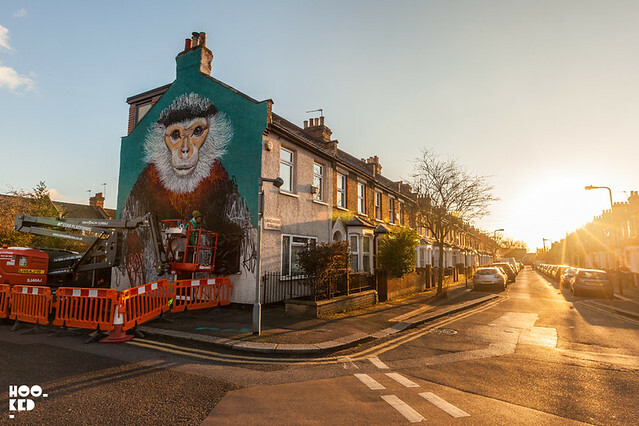 Louis Masai's Red-shanked douc mural for The Body Shop can be seen at 2 Lancaster Road, E17 6AJ. 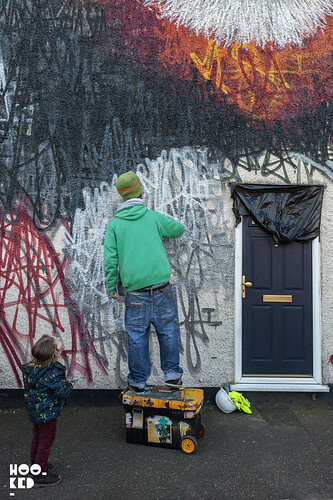 The wall is about a 15 minute walk from Blackhorse Road underground station.